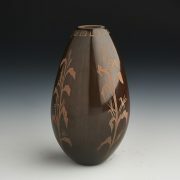 This is an outstanding new hand coiled, and traditionally fired vase by Johnathan. The shape of the vase “helped determine my theme for the piece. Wide at the bottom, and narrow at the top, like a piece of corn. The design is very characteristic of Pueblo people and our abilities to farm crops.” I especially like the way the woman, who does not have specific facial characteristics, is holding the corn in her arms. The way the corn flows upwards on either side of her is marvelous. Johnathan Naranjo was born in 1987. 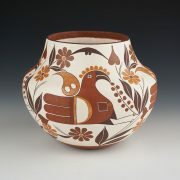 He is the son of well-known potter, Forrest Naranjo, and grandson of Bernice Naranjo. 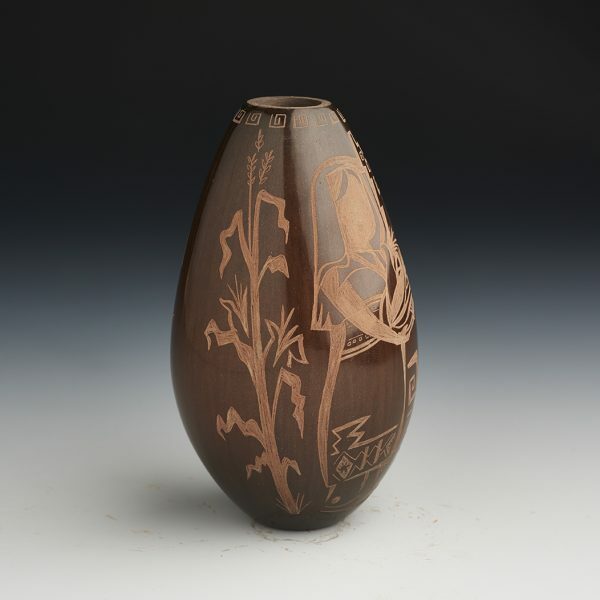 Even though he has been working only a few years he is clearly excelling in the family tradition of hand coiling and incising brown polished pottery. 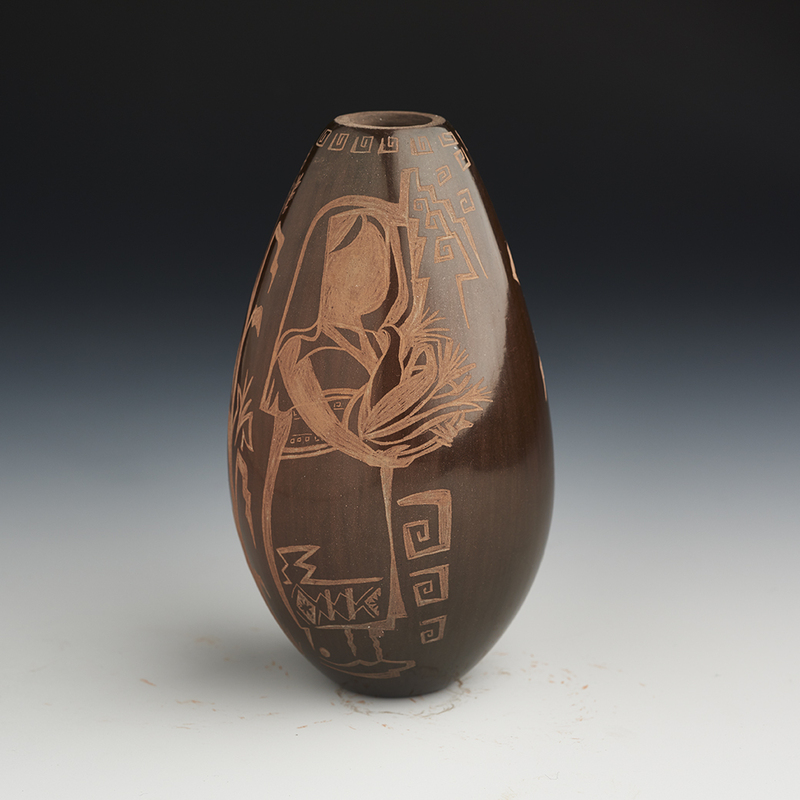 Born into Santa Clara Pueblo in 1987, He began working with clay early in life and has now developed his own distinctive style. He specifically works on getting a dark brown finished pot rather than the usual black. His sgraffito work adds a mix of both contemporary and traditional designs. 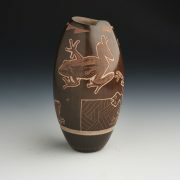 In 2013 Johnathan won the Tony Da Award at the Santa Fe Indian Market for his intricate and innovative style of pottery.